Ok, I love cheese and it’s also no news that I love chicken too. Are you thinking about the combination of the three in your mouth already? 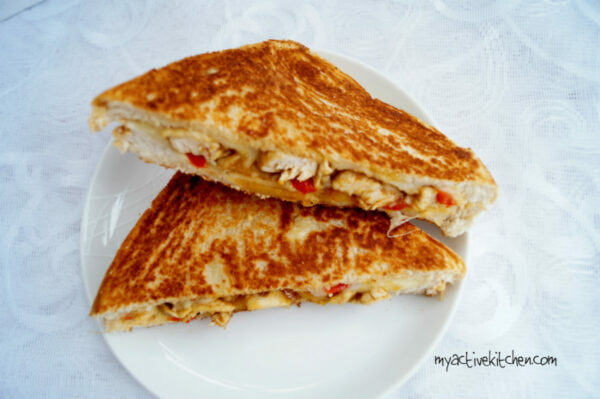 I made this chicken suya melt sandwich with agege bread for a change and to be fair, you can’t go wrong with simple chicken stir fry and cheese. Yes, with loads and loads of cheese. 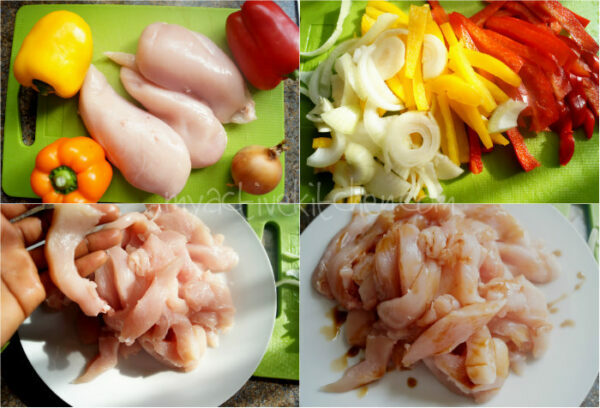 This recipe below was enough and filling for 4 adults and the leftover suya chicken fillings can be eaten with salad. It is very easy to make and can be twisted to your taste. I added suya spice to the chicken but you can add any other spice you want but trust me, you can’t go wrong with suya spice anytime. 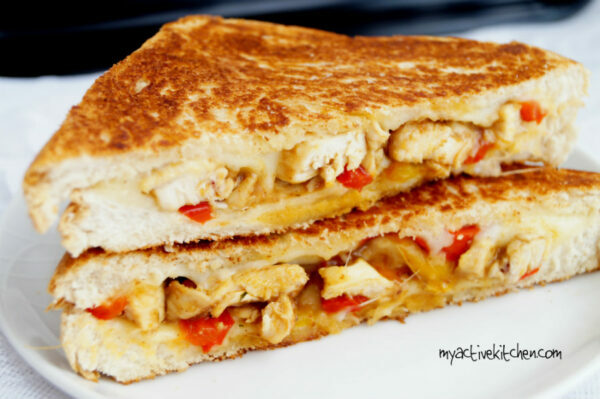 This simple sandwich would make a huge yummy difference to your menu. Place a wok on medium heat and add 2tbsp of vegetable oil, add the chicken strips and stir fry making sure you stir the chicken to avoid burning. Cook until chicken is white and cooked through. About 5 minutes should do. The chicken is likely to produce liquid, decant the liquid and set the chicken aside. Place the wok back on the heat, add 2tbsp vegetable oil, add the mixed peppers and onions, stir fry for about 2 minutes, add suya spice, seasoning, salt and cayenne pepper and continue to stir fry for another 2 minutes. Add the cooked chicken strips and continue to stir fry for another 3 minutes. Taste for salt and seasoning and adjust accordingly. Place a frying pan on medium heat, add one sliced bread with the buttered side facing down. 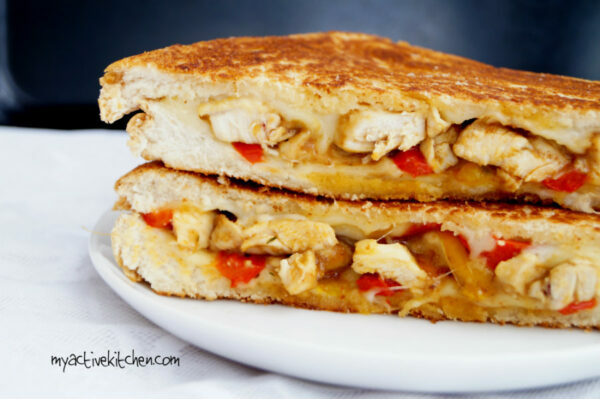 Add a cheese slice on the bread, add some chicken stir fry and another slice of cheese then cover with another slice of bread. 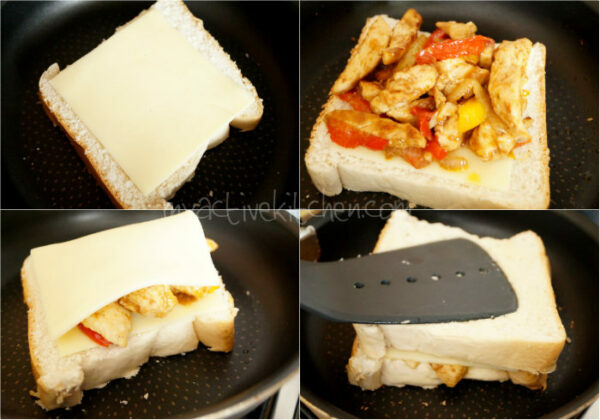 Use a spatula to press down the bread for about 30 seconds until browned and cheese cooked. 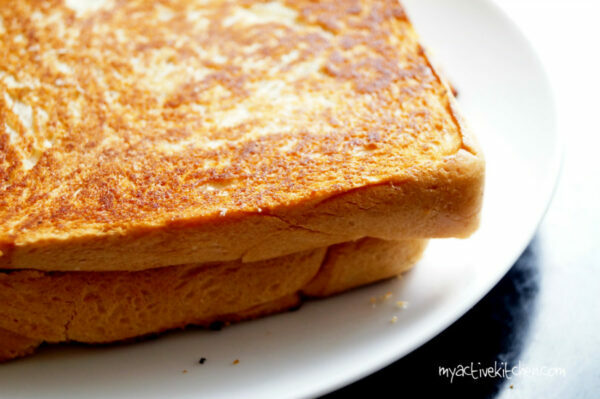 Carefully flip the sandwich to the other side and cook till golden brown or well toasted. Continue this process until you’ve exhausted all the bread and fillings. Serve warm with coffee, tea or hot chocolate. Guurrrlll!!! You are on without Nepal!!! Love love love your recipes!!! Please what is your Instagram handle?